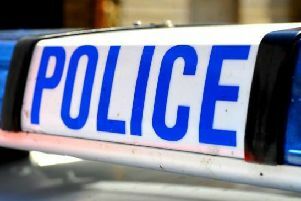 A man was robbed in the early hours of the morning in Hemel town centre, shortly after helping a woman who was in distress. The victim, who is in his 30s, was walking along the Marlowes between 3.30am and 4am on Saturday, October 14 when he became aware of a woman in distress outside Mode nightclub. The woman, who is described as petite and with long blonde hair, asked for his help so he assisted her in getting a taxi. As the taxi drove a mixed group of men and women approached the man and became aggressive, threatening him. A woman, described as black and in her mid-20s, pushed the victim. The victim ran towards Riverside when one of the group chased him and physically assaulted him. The offender, described as an Asian man in his mid-20s, with black hair and of medium build, ordered the victim to remove his jacket. He did so and the offender, who spoke with a foreign accent, took it before making off in the direction of Primark. Detective Constable Jane Swift, from the Dacorum Local Crime Unit, said: “This was a distressing incident for the victim and while he was not injured, he was left shaken. Call Herts Police on 101 quoting D1/17/8282.